Birmingham kept alive their faint Sky Bet Championship play-off hopes by beating lacklustre Reading 2-0 at the Madejski Stadium to secure their first win in six matches. Both Birmingham's goals were scored in the first half, Clayton Donaldson nodding them ahead in only the second minute. Centre-back Ryan Shotton grabbed the second shortly before the half-hour mark when he pounced from close range. 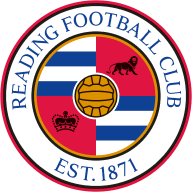 Reading, looking for a third consecutive win, were poor throughout despite controlling much of the second half, and they did not have a shot on target until the 60th minute. Birmingham had been in poor form, winning only two of 11 league games - and none of their previous five. A once possible top-six finish had looked all but lost as they slipped down the Championship table. Reading, unbeaten at home in eight league matches in 2016, were undefeated in three games, including successive victories over Bolton and Nottingham Forest. Birmingham might have scored only one goal in their past six away matches but they were ahead after only 73 seconds at the Madejski. David Cotterill crossed from the right flank and, with the home defence having gone missing, Donaldson had the easy task of heading past goalkeeper Ali Al-Habsi for his eighth goal of the season. Reading replied quickly from an Oliver Norwood corner but, after a scramble, Lucas Piazon blazed his shot high over the crossbar. Clayton Donaldson scored for Birmingham City. Simon Cox did the same, as the heavens opened and made conditions temporarily treacherous, but Birmingham stayed on their feet to stretch their lead in the 27th minute. Cotterill drilled in a low 20-yard free kick that Al-Habsi could only parry and defender Shotton tucked home the loose ball from close range. Sloppy Reading attempted to respond but Paul McShane had an appeal for a penalty turned down, after he claimed that he had been fouled by Donaldson, and Stephen Quinn nodded wide from a Chris Gunter cross. Birmingham seemed content to hold on to what they had in the second half, with Reading forcing the pace but unable to find a way through the solid visitors' defence. Quinn volleyed over, following a Norwood corner, and Cox failed to take advantage of a good opening due to poor control of the ball. Danny Williams did expose the Birmingham cover when running through on the hour but his tame attempt was comfortably gathered by keeper Adam Legzdins. It was Reading's first shot on target. 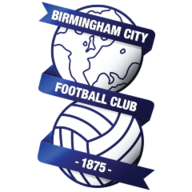 Birmingham continued to sit back, showing little interest in going forward, and were almost punished. Yann Kermorgant got on the end of a Norwood free kick but nodded over from close range. Reading ran out of ideas long before the end and Birmingham held on with ease.